« Build a Better Burke-Gilman Trail NOW! Too meta, perhaps? A blog post about blogs, after all…. It was Rebecca Roush, whose Woman-Bicycle-Helmet Cam Etc. gave me an early vicarious firsthand look at bicycling in Seattle as I prepared to move from Spokane in the summer of 2012. She horrified me, actually, with her helmet cam footage crossing the Ballard Bridge and her description of the troll who attacked people on bikes. I moved anyway. Rebecca recently started a new blog, Seattle Bicyclist Portraits. She took advantage of our encounter to grab my photo, introduced me to her bike-touring neighbor who happened to be passing through Occidental Square, and went on her way. 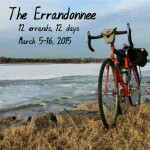 Personal blogs provide an outstanding inside look at local bicycling conditions. If I were planning to visit or move to any town anywhere I’d go looking for local blogs to get an authentic slice of bike life. As with the Ballard Bridge story, no one post will tell you everything about a place. Just possibly my first (and second) ventures across that bridge were overly colored with anticipatory dread based on that post. But it enabled me to be ready for a pretty challenging stretch so I went into it with my eyes open. Last year at the National Bike Summit I presented data from the Women’s Bike Blogs list as part of a panel on social media, suggesting that the number of women blogging about bicycling might be a bit of an indicator of how bike-friendly a town is. If your town doesn’t have a bike blog, does the world have a fair picture of why a person who bikes would want to go there? The creation of blogs has provided us all with amazing tools to provide micro-journalism and tell our own stories. If you’d not ready to start your own blog because the thought of keeping up any kind of publishing schedule isn’t something you want to add to your to-do list, we’d love to get your occasional, sporadic, or one-time psst to highlight your community’s bicycling here. If you write, photograph, map or record your bike life, get in touch! How have bike blogs connected you with different places, types of bicycling, experiences, or people? Do you want to guest blog for us? Email Louise McGrody! 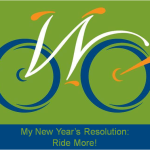 This article was posted in Attitudes, Bike Culture, Encouragement, News, Seattle, Transit. Bookmark the permalink. Follow comments with the RSS feed for this post. Both comments and trackbacks are closed.